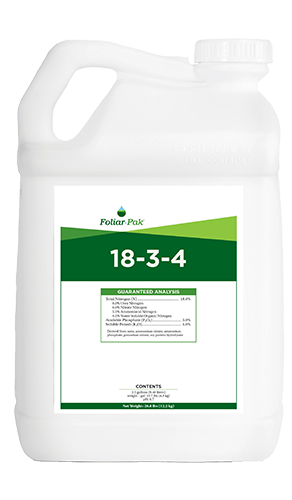 Foliar-Pak® Calcium is a concentrated calcium product that is complexed by amino acids and other natural plant metabolites. Foliar-Pak Calcium is a brand new formulation using three natural and modified plant metabolites specific for protecting calcium. Each plant metabolite performs well in its own niche. The low-molecular-weight plant metabolites allow for movement through the stomatal pores and transcuticular pores; the high-molecular weight modified plant metabolite chelates the calcium for secondary uptake via the soil. This engineered redundancy ensures rapid uptake and longer nutrient availability in all growing conditions. Focused amino acid package increases photosynthetic efficiency, and prolongs life of chloroplasts. Multiple complexors and chelators provide a dramatic increase in uptake efficiencies.